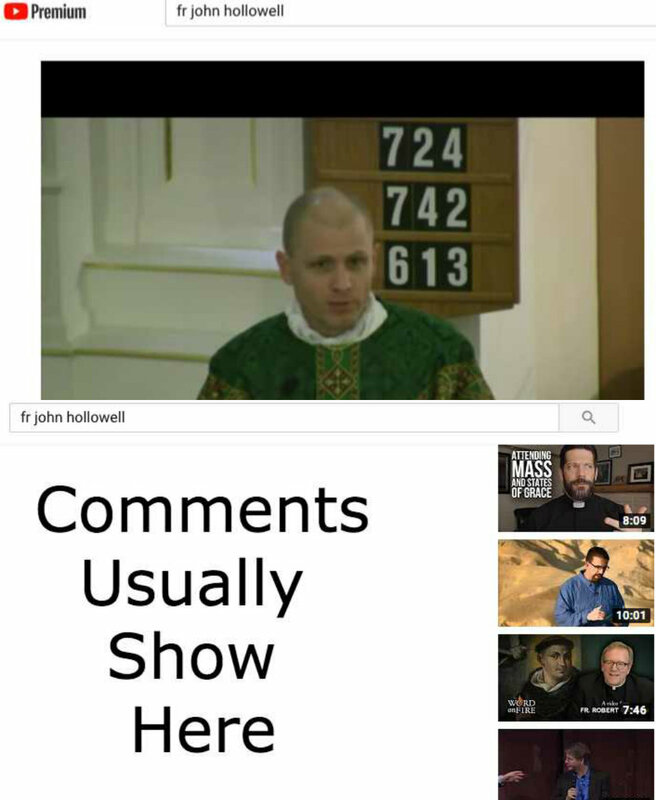 I enjoy listening to Father John Hollowell's homilies on YouTube. You can find his YouTube channel here. However, like many Catholic centric videos that do not have the comments disabled, you'll likely see some over the top, not so friendly, even judgmental, sometimes downright hateful, comments. "Another fact is, Catholics are going to hell along with all the Catholics who have already died." Although I could just choose to ignore silly comments like the one above, I prefer to not see any comments at all. I don't want any additional distractions on YouTube which is why I'm glad that I found an extension for Chrome. If you use Chrome, you can install the extension "Hide YouTube Comments" and avoid seeing all comments. The comments section becomes completely blank which doesn't hurt my feelings. NOTE: If the extension above doesn't work on your Chrome browser or you don't use Chrome, do like I did and do a Google search. I wish that I had thought about this option months ago. It doesn't block the description section. I simply put two different screen shots together.